Customers put their trust in companies to deliver on promises of security. Think about how quickly most people tick the boxes on required privacy agreements, likely without reading them. They want to believe the companies they choose to associate with have their best interests at heart and expect them to implement the necessary safeguards. The quickest way to lose customers is to betray that confidence, especially when it comes to their personal information. Hackers understand that, too. They quickly adapt tools and techniques to disrupt that delicate balance. 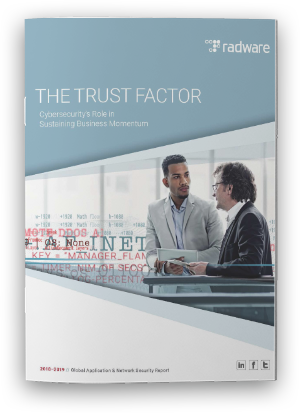 Executives from every business unit need to understand how cybersecurity affects the overall success of their businesses. In our digital world, businesses feel added pressure to maintain this social contract as the prevalence and severity of cyberattacks increase. 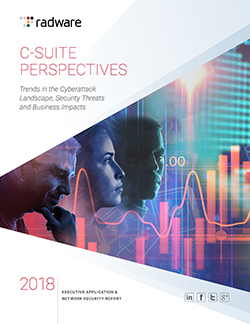 Respondents to Radware’s global industry survey were definitely feeling the pain: ninety-three percent of the organizations worldwide indicated that they suffered some kind of negative impact to their relationships with customers as a result of cyberattacks. Data breaches have real and long-lasting business impacts. Quantifiable monetary losses can be directly tied to the aftermath of cyberattacks in lost revenue, unexpected budget expenditures and drops in stock values. Protracted repercussions are most likely to emerge as a result of negative customer experiences, damage to brand reputation and loss of customers. The bottom line? Management boards and directorates should understand the impact of cyberattacks on their businesses. They should also prioritize how much liability they can absorb and what is considered a major risk to business continuity. How can organizations cut through the hype around AI to understand the most important issues they should be addressing? How can they incorporate AI into their security strategies now to take advantage of the technology’s ability to detect and mitigate attacks that incorporate the same capabilities? Pascal Geenens, Radware’s EMEA security evangelist, weighs in. What is the threat landscape, and how disruptive is it likely to be? In the near term, cybercriminals will mainly use AI to automate attacks and improve evasion capabilities against detection systems and to increase the scale and reach of the threats. Expect to see AI used to automatically breach defenses and generate more sophisticated phishing attacks from information scraped from publicly accessible web sources. The scale of attacks will quickly escalate to volumes that we have never experienced before. On the evasive side, machine-learning systems such as generative adversarial networks (GANs) can automatically create malware that is harder to detect and block. This technique has already been demonstrated by researchers. The MalGAN research project proposed a GAN to create evasive malware that goes undetected by all modern anti-malware systems, even the systems based on deep learning. In the first phase, AI will be used to improve current attack tools to make them more harmful and difficult to detect. Machine learning and automation can be leveraged to find new vulnerabilities, especially in large public clouds where cloud native systems are being built based on widely reused open-source software frameworks. Platforms running this software will become primary targets for vulnerability scanning. Given that open-source code is readable and accessible by both criminals and security researchers, this platform may become the next battlefield with an associated “arms race” to discover, abuse or fix vulnerabilities. Deep learning will provide an advantage in discovering new vulnerabilities based on code. While open source is an easier target, even closed-source software will not escape automated attacks based on the learning process of the attack program. Looking further ahead, I can imagine large cybercrime organizations or nation-states using AI. Where machine learning was previously used mainly for automating attacks, now AI systems such as genetic algorithms and reinforced learning will be used to automatically generate new attack vectors and breach all kinds of systems, whether cloud, IoT or ICS. Then, combine this capability with the automation of the first stage. We will face a fully automated, continuously evolving attack ecosystem that will hack, crack and improve itself over time with no limits in scale or endurance. Cybercriminals could move from being the actual hackers, performing the real attack and penetrating defenses, to becoming maintainers and developers of the automated AI hacking machine. Machines will do the hacking; humans will focus on improving efficiency of the machines. What vulnerabilities will make targets more attractive to criminals once AI is incorporated in their tools? How will it affect corporate espionage? Ultimately every organization will be digitally transformed and become a primary target for automated attacks. Which targets are chosen will be solely dependent on the objective of the attack. For ransom and extortion, every organization is a good candidate target. For corporate espionage, it depends how much organizations are willing to pay to secure intellectual property in certain areas. It’s fair to say that, by definition, every organization can — and, at some point, will — be a target. What about politically motivated cyberattacks initiated at the national level? We’ve already witnessed attacks meant to influence public opinion and the political landscape. Such attacks are likely to grow and become more difficult to identify early in the process and to protect against once attackers leverage deep learning and broader AI technologies. Attackers have already produced automatically generated messages and discussions, as well as “deep fake” videos that are created by AI algorithms. Influencing what topics are important and manipulating opinions are becoming new weapons of choice for nation-states. Social platform providers need to take a stance and remain as clean as possible by dedicating much of their own AI-assisted automated detection systems to stay ahead of cybercriminals and others that create and improve AI-assisted automated systems for fake content creation. From a defense perspective, what types of AI-based products will be used to combat more technologically savvy cybercriminals? There’s a saying in our industry that “you cannot stop what you cannot detect.” Cybersecurity has become automated for the sake of the detection of new, increasingly complex and continuously adapting threats, and deep learning is improving that capability. AI, in the broad sense of the term, will probably come into play in the near-term future rather than immediately. The current state of AI in the defense discussion is confined to the traditional machine learning, and while deep learning shows a lot of promise, it is still too challenged to be used for automated mitigation. More intelligent and self-adaptive systems, the domain of AI, are still further out when it comes to automating our cyberdefenses. Will the use of AI-based attacks by cybercriminals drive adoption of AI-based mitigation solutions by enterprises, organizations and institutions? For example, using AI for phishing does not affect the victim in terms of change in attack vector, but it does increase the scale and number of targets, compelling every organization to improve its This protection might include AI-based systems, but not necessarily. On the other hand, as attacks get more automated, organizations will have to automate their security to ensure that they keep on top of the rising number and accelerated speed of attacks. 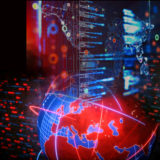 When new evasion techniques based on AI are leveraged by cybercriminals, it will ultimately lead to the use of better detection systems that are based on AI. Malware is a key vector for data breaches. Research shows that 51% of data breaches include the usage of malware, whether for initial breach, expansion within the network or heisting data. Yet despite malware being a pivotal attack vector, companies are unable to defend against data-theft malware running wild in their network. In fact, some of the biggest and most well-publicized breaches ever were the result of undetected malware. Why? Modern malware is built to evade traditional anti-malware defenses. Today’s malwares are sophisticated multi-vector attack weapons designed to elude detection using an array of evasion tools and camouflage techniques. In the game of chess between attackers and defenders, hackers constantly find new ways to stay one step ahead of existing defenses. Here are five common evasion techniques used by modern malware and how they beat traditional anti-malware defenses. Polymorphic malware: Many traditional anti-malware defenses operate using known malware signatures. Modern data-theft malware counteracts this by constantly morphing or shapeshifting. By making simple changes to the code, attackers can easily generate an entirely new binary signature for the file. Shapeshifting, zero-day malware beats signature-based defenses such as anti-virus, email filtering, IPS/IDS, and sandboxing. File-less malware: Many anti-malware tools focus on static files and operating-systems (OS) processes to detect malicious activity. However, an increasingly common technique by attackers is to use file-less malware which is executed in run-time memory only, leaves no footprint on the target host and is therefore transparent to file-based defenses. File-less malware beats IPS/IDS, UEBA, anti-virus, and sandboxing. Encrypted payloads: Some anti-malware defense use content scanning to block sensitive data leakage. Attackers get around this by encrypting communications between infected hosts and Command & Control (C&C) servers. Encrypted payloads beat DLP, EDR, and secure web gateways (SWG). Domain generation algorithm (DGA): Some anti-malware defenses include addresses of known C&C servers, and block communication with them. However, malwares with domain generation capabilities get around this by periodically modifying C&C address details and using previously unknown addresses. Beats secure web gateways (SWG), EDR, and sandboxing. Host spoofing: spoofs header information to obfuscate the true destination of the data, thereby bypassing defenses that target the addresses of known C&C servers. Beats secure web gateways (SWG), IPS/IDS and sandboxing. Apply multi-layer defenses: Protecting your organization against evasive malware is not a one-and-done proposition. Rather, it is an ongoing effort that requires combining endpoint defenses (such as anti-virus software) with network-layer protection such as firewalls, secure web gateways and more. Only multi-layered protection ensures complete coverage. Focus on zero-day malware: Zero-day malware accounts for up to 50% of malware currently in circulation. Zero-day malware frequently goes unrecognized by existing anti-malware defenses and is a major source of data loss. Anti-malware defense mechanisms that focus squarely on identifying and detecting zero-day malwares is a must have. Implement traffic analysis: Data theft malware attacks take aim at the entire network to steal sensitive data. Although infection might originate from user endpoints, it is typically the aim of attackers to expand to network resources as well. As a result, it is important for an anti-malware solution to not just focus on one area of the network or resource type, but maintain a holistic view of the entire network and analyze what is happening. Leverage big data: A key ingredient in detecting zero-day malware is the ability to collect data from a broad information base amassed over time. This allows defenders to detect malware activity on a global scale and correlate seemingly unrelated activities to track malware development and evolution. Between large scale cyberattacks, the implementation of GDPR and increasing popularity of smart home technologies (and their associated vulnerabilities), we had a lot to write about this year. Of the hundreds of blogs we published in 2018, several floated to the top in terms of readership. Below, we recap the ten most popular blogs of 2018. Is My Smart Home Telling People What I Do Every Day?